This week, Apple released iOS 7.1, the latest version of its mobile operating system. While this is not a major release, it is more than just the usual bug fixes, hence 7.1 instead of 7.0.7. So exactly what is in iOS 7.1? 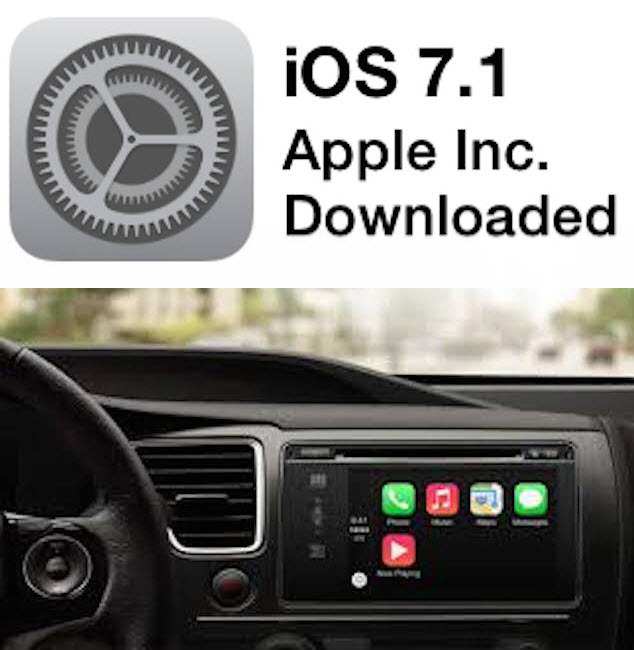 The most significant update in iOS 7.1 is the addition for CarPlay support. Announced at last year’s Worldwide Developers’ Conference (WWDC), Apple announced a new platform, iOS in the Car. Basically, it is iPhone integration in vehicles from most leading automotive manufacturers. Well, it’s here but with a new name, Apple CarPlay. Showcased at the Geneva Motor Show, it will initially be available from Ferrari, Mercedes Benz and Volvo. As expected, CarPlay supports map, music, phone calls and text messaging. Siri can be invoked from a button on the steering wheel. Integrated with the car’s physical controls, CarPlay can be controlled in the same way as the screen is controlled for each model. Along with native apps such as iTunes and Maps, CarPlay will also work with some third-party apps, including Beats Radio, iHeartRadio and Spotify. It should come as no surprise that CarPlay is only compatible with iPhones. Android, Windows Phone and BlackBerry users will be out of luck. Siri – Siri can now be manually controlled by holding down the Home button when speaking and releasing it when you are done. More natural-sounding male and female voices have been added for Australian English, Japanese, Mandarin Chinese and UK English. Calendar – You can now display events in ‘Month’ view. For many countries, country-specific holidays are automatically added. FaceTime – Call notifications are automatically cleared when you answer a call on another device. Accessibility – Bold font is now available in the keyboard and calculator. When I upgraded to iOS 7, I enabled bold text (Settings –> General –> Accessibility –> Bold Text) because I was having trouble seeing app names. The keyboard is downright awesome now. Other Accessibility improvements include Weather, Messages and multitasking UI animations now supporting the ‘Reduce Motion’ option. There are new options for displaying button shapes, darkening app colors and reducing white point. Camera – There is a new setting to automatically enable HDR for iPhone 5s. iCloud Keychain – Support has been added for additional countries. Touch ID – Improved fingerprint recognition. iPhone 4 – Performance improvements. Bug Fix – A bug that could cause a home screen crash has been fixed. Not included in the ‘official’ release notes is an improved interface for the Phone app, featuring smaller, less obtrusive buttons.